Let SoGlos give you a helping hand in finding a great Gloucestershire nursery, day nursery or kindergarten. A good nursery will give your child a great start in life, and Gloucestershire is home to an exceptional range of quality options. Browse some of the best in the county in SoGlos’s nurseries guide. From private day nurseries to nurseries and pre-prep at independent schools, find the perfect place for your son or daughter to flourish. Be sure to book a tour to see the facilities and meet the staff first hand, and plan ahead – spaces can be at a premium and snapped up months, even years, in advance. Description: Dean Close Pre-Preparatory School, fondly known as ‘The Squirrels’, is set in 50 acres of private land close to the centre of Cheltenham. It’s based in a modern, purpose-built school which offers a high teacher to pupil ratio, along with excellent facilities and resources; features include a spacious hall, ICT suite, library, bespoke playgrounds, and its very own Forest School which children visit regularly. What’s more, pupils are also able to make use of some of the whole school’s outstanding facilities, such as the swimming pool, tennis courts and sports centre. Squirrel Kittens is for children aged two and above, offering an exciting child-centred programme and rooms that include a messy play area, cosy playroom, and eating area. In nursery, for rising threes, children love learning through activities and play, whether that is in the Wendy house, or through dressing up, painting, cooking or listening to a story. In Kindergarten children take their next steps, learning to read and write, using their imagination through stories and play, enjoying ICT lessons and being introduced to the French language through songs and games. In Reception they begin full-time school and the curriculum becomes more structured, alongside swimming and tennis lessons. In Years 1 and 2 pupils can build on their skills and continue to develop independence in reading, writing, speaking and listening. Dean Close Pre-Prep also provides an impressive range of enjoyable extracurricular activities such as drama, dance, music, choir, and arts and crafts, which can enhance learning and development even further. SoGlos loves: Parents can rest assured that their children are eating healthily during their day at Dean Close Pre-Prep, thanks to pupils getting a lunch that’s prepared freshly each day on the premises. Served by catering staff, there is always a vegetarian or salad option on the menu, while fruit is available as an alternative for dessert. Ofsted: This school is inspected by the Independent Schools Inspectorate. Sessions available: The Kindergarten, Nursery and Kittens teaching day runs from 8.45am to 3.30pm (children can attend morning or afternoon sessions or stay all day), with a crèche facility operating outside these hours. Children may attend from 8.15am to 5pm. While for all other Pre-Preparatory years classes start at 8.45am, with Reception finishing at 3.25pm and Years 1 and 2 at 3.30pm. Fees: Squirrel Kittens, Kindergarten and Nursery cost £2,747 per term, Reception costs £2,653 per term, Year One costs £2,752 per term, and Year Two costs £2,842 per term. Social media: Visit facebook.com/DeanCloseSchool and twitter.com/DeanCloseSchool for the very latest. Description: Established in 1989, TreeTops Day Nursery Cheltenham became part of the Dean Close Foundation in 2017, with parents and children able to benefit from the excellent resources and expertise that the independent school has to offer. The Cheltenham nursery is located close to the centre of town, and welcomes children to its Baby Unit, Toddler Unit and Pre School. With the aim to create a homely and nurturing environment, TreeTops encourages children to be creative, expressive and inclusive, and takes care to involve all of the children in group activities. The Baby Unit plans activities that reflect each baby’s interests, such as soft play, messy play, building blocks, creative art and outdoor fun. In the Toddler Unit, a child’s interests and learning are extended through activities such as music, movement, arts and crafts and role-play. In Pre School, children will be prepared for the transition to school though a wide variety of activities and use of available resources, while there will also be outings outside of the nursery environment. Setting it aside from other nurseries, TreeTops offers additional activities to enhance each child’s learning and development, including specialist music classes and fun French classes. The nursery benefits from impressive facilities including a spacious play area, and parents can be assured that their child will eat healthily thanks to a nutritious menu that’s carefully planned and prepared freshly each day. 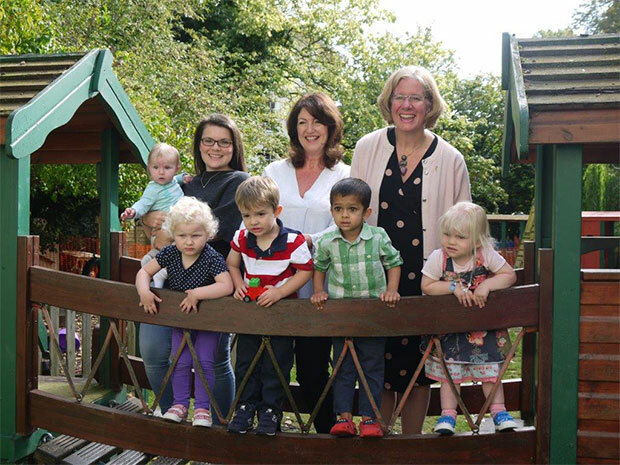 SoGlos loves: TreeTops Nursery boasts a highly-skilled and friendly team who are dedicated to helping each child develop throughout the first few years of their lives; and with a great child-to-staff ratio, the nursery takes care that each individual gets close attention. What’s more, each child is assigned a ‘key worker’ when they join Treetops to ensure that their full potential is being reached; there’s also the opportunity to experience a new keyworker when children move to a new group. Ofsted: In the most recent Ofsted inspection, TreeTops Nursery received a ‘Good’ Ofsted rating. Sessions available: There are three sessions available throughout the day; a full day runs from 8am to 6pm, a morning session runs from 8am to 1pm, and an afternoon sessions runs from 1pm to 6pm. Fees: A full day costs £52, a morning session costs £29, and an afternoon session costs £28. Social media: Visit facebook.com/TreeTops-Day-Nursery-Cheltenham for the very latest. Description: Cirencester’s Rendcomb College offers a calm, friendly and welcoming environment for children as part of its Early Years Foundation Stage nursery and reception classes. Providing a quality pre-school education, the College offers an unrivalled environment for learning and outdoor activities, with the nursery classes set in 230 acres of parkland to provide children with ample space to play, explore and learn. The knowledgeable staff take pride in helping children to develop in their early years, with a broad educational programme and a carefully planned curriculum ensuring a smooth transition from nursery to reception. The in-house catering team provide nutritious and well-balanced hot meals and snacks, with a designated dining area for nursery-age children. Age range: From two to five, with children accepted in the term they turn three. Sessions available: Children can arrive from 8.10am, with morning sessions from 9am to 12pm, while afternoon sessions run from 12.45pm to 3.30pm, with the option for full or half days to include lunch. There is also an early morning club from 7.45am and after-school care until 6pm. Ofsted: The nursery is regulated by the Independent School Inspectorate report and received an excellent rating at its last inspection. SoGlos loves: In addition to everyday nursery-based activities, children benefit from regular sessions in the Forest School with its well-established approach to learning through outdoor settings offering the chance to take part in practical activities to experience numeracy, literacy, science and more. Fees: Morning and afternoon sessions are £27 each, while a full day is £52. Social media: See facebook.com/Rendcombcollege and twitter.com/RendcombCollege for the very latest. Description: Located just outside the centre of the city, TreeTops Day Nursery Gloucester was established in 1989 and became part of the Dean Close Foundation in 2017, with parents and children able to benefit from the excellent resources and expertise that the independent school has to offer. The Gloucester nursery provides a caring environment for children who can attend its Baby Unit, Toddler Unit and Pre School. With a team of highly-skilled staff, TreeTops encourages children to be creative, expressive and inclusive, and is dedicated to helping each child develop in the first few years of their lives. Promising a great child-to-staff ratio, the nursery takes care that each individual gets close attention. What’s more, each child is assigned a ‘key worker’ when they join Treetops to ensure that their full potential is being reached, and there’s also the opportunity to experience a new keyworker when children move to a new group. The Baby Unit plans activities that reflect each baby’s interests, such as soft play, creative art and outdoor fun. In the Toddler Unit, a child’s interests and learning are extended through activities such as music, movement, and role-play. In Pre School, children will be prepared for the transition to school though a wide variety of activities and use of available resources, while there will also be trips outside of the nursery environment. Age range: From three months to four years. SoGlos loves: Setting it aside from other nurseries, TreeTops offers additional activities to enhance each child’s learning and development, including specialist music classes and fun French classes, as well as benefitting from impressive facilities including a spacious play area. What’s more, parents can be assured that their child will eat healthily thanks to a nutritious menu that’s carefully planned and prepared freshly each day; food and drink is included in nursery fees and is designed to contribute to a varied and well-balanced diet. Fees: A full day costs £45.50, a morning session costs £25.50, and an afternoon session costs £25. Social media: Visit facebook.com/TreeTopsGlosDCNL for the very latest. Description: Providing a stimulating environment young children, Little King’s is The King’s School’s designated early years centre, which houses both the Kindergarten and Reception classes, within the main Junior School building. The Kindergarten offers the ideal introduction to school life. Celebrating individuality, The King’s School’s Kindergarten benefits from excellent music, art and crafting facilities, with additional areas for indoor and outdoor play. Boasting an excellent pupil-to-teacher ratio, specialist subject teachers are brought over from the main school to teach drama, dance, music and PE; ensuring that children can form early relationships with teaching staff and have the best possible introduction to a varied curriculum. Age range: The Kindergarten is available for children aged three and four, until they progress to Reception in the September following their fourth birthday. SoGlos loves: Alongside classroom-based activities, children attending The King’s School Kindergarten get the opportunity to take part in a range of activities outside of the classroom, too. Excursions include the Little King’s Sports Day, the annual Nativity Play held in Gloucester Cathedral and regular educational field trips. Sessions available: There are two sessions available, including a Morning Session between 8.30am and 12.30pm and a Full Day session between 8.30am and 3.15pm. Aftercare is available between 3.15pm and 6pm for a cost of £6.30 per hour, while Early Birds club is open from 7.45am at a charge of £1.75 per half hour. Fees: Kindergarten fees cost £7.90 per hour, with sibling discounts available. Social media: Visit facebook.com/KingsSchoolGlos for the very latest. Description: Located within the grounds of Wycliffe Preparatory School in Stroud, Wycliffe Nursery offers a safe, secure, happy and stimulating environment for children. The nursery has four classrooms which benefit from ICT facilities and interactive whiteboards, while there’s also an outdoor learning area. 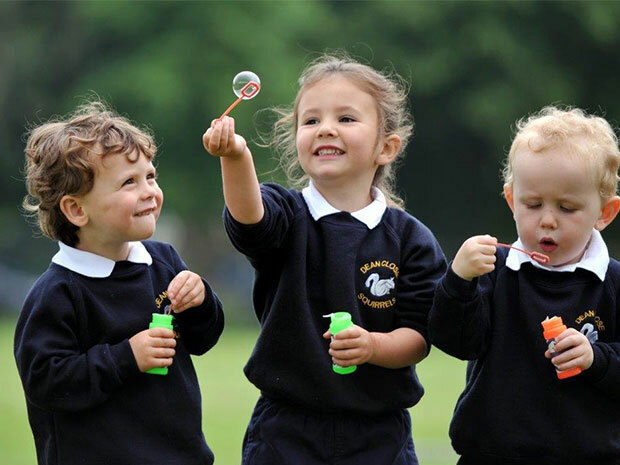 Nursery children have full access to the school’s amazing facilities, along with the opportunity to take advantage of Wycliffe’s wider community activities, including school assemblies and plays. The school’s Lower Nursery lays the foundations for learning and mixes free play with planned activities, while in Upper Nursery children are introduced to number concepts, shapes, and pre-reading and writing skills. Following on from nursery, children move on to reception class where they’ll learn to read and write through literacy activities, in addition to developing their knowledge of mathematics through topic-based learning. SoGlos loves: Each term, nursery children will enjoy the chance to learn about a new topic through art, play, music, discussion, exploration and child-led activities, with topics including colour, at the seaside, and about me. Ofsted: The school had an Early Years inspection by the Independent Schools Inspectorate in 2016 and was commended for its practices. Sessions available: Full days run from 8am to 5.30pm, while morning sessions are from 8am to 1pm, with afternoons running from 1pm to 5.30pm. Fees: Lower and Upper Nursery is £7.50 per hour, with a 20 per cent discount for full-time attendance per term, and 10 per cent discount for attendance between 32 and 47 hours per week, per term. Social media: Visit facebook.com/WycliffeCollege/ and twitter.com/WycliffeCollege for the very latest. Description: Circus Day Nursery is a thriving Cheltenham day nursery and pre-school, which has been providing a safe, caring and nurturing childcare setting for children aged three months to pre-school age. Fees: Morning and afternoon sessions start from £29.50 each for children under two, £28.50 for children over two. Full days start from £49.50 for children under two, £49.50 for children over two. Description: Cheltenham College Preparatory School is considered to be one of the country’s leading independent schools, with its Pre-Prep department, Kingfishers, being just as prestigious, welcoming children from the age of three who can enjoy learning through play. Fees: Nursery, Reception and Year 1 cost £2,640 per term, while Year 2 costs £2,925. Description: Situated close to town, Angel Day Nursery in Cheltenham offers day care for children aged five months to five years, providing a friendly and happy environment within a family atmosphere. Fees: Prices start from £27.50 for children aged five months to two years; £26 for children aged two to three years; and £25.50 for children aged three to five years old. Description: Part of a national network of childcare, Tinies Cheltenham Day Nursery is located inside the grounds of Gloucestershire College on Princess Elizabeth Way. The purpose-built nursery offers a spacious and inspiring open plan space for children to learn and play, while the large garden provides a safe area for outdoor activities. Fees: Full time childcare, based on five days a week, costs £910.99 per month, with part time fees £45.13 per day, while morning sessions cost £23.75, with afternoons sessions £21.38. Description: Located in the heart of Cirencester, Bingham Kindergarten benefits from three lovely, spacious classrooms and a safe, enclosed garden to use as an outside play and learning environment. A maximum of 56 children may attend the nursery at any one time, and the well qualified staff members aim to give them the best possible start in life by providing a safe and happy environment with lots of exciting things to do. Fees: Start from £500 per term. Description: Part of a national network of childcare, Tinies Gloucester Day Nursery is located at Gloucestershire College’s campus at Gloucester Docks and provides day care for staff and students’ children, along with catering to those attending privately. 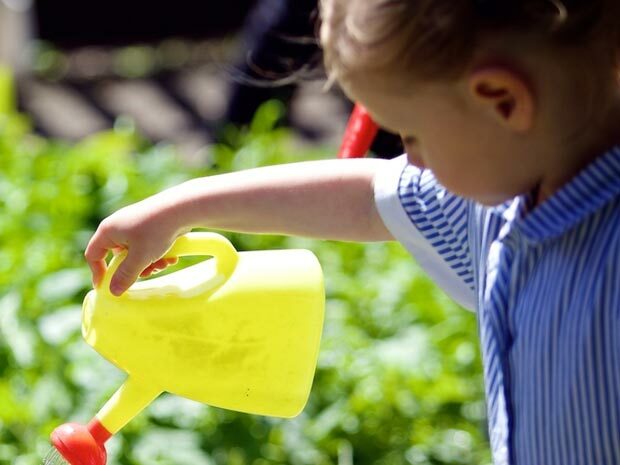 The nursery benefits from four spacious, well-equipped playrooms, while its safe and secure garden offers an exciting outdoor learning environment. The nursery also has access to a large grassy area at the College that’s ideal for exploring the great outdoors. Fees: Full time childcare, based on five days a week, costs £949.24 per month, with part time fees from £45.13 per day, while morning and afternoon sessions cost £23.75, with the exception of Friday afternoons which are £21.38.